Welp, I made another friend. 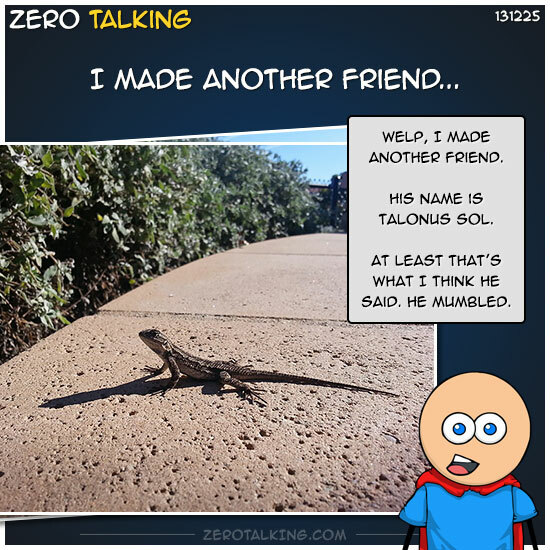 His name is Talonus Sol. At least that’s what I think he said. He mumbled.